Founded by Toxey Haas in 1986, Mossy Oak is a leading manufacturer of camouflage patterns, concealing hunters from waterfowl, big game, turkeys and everything in-between. Not only is the company a leader in the camouflage industry, it also supports programs and organizations committed to conservation and the hunting and shooting sports. For nearly 30 years, Mossy Oak Brand Camo has developed quality camouflage patterns for outdoorsmen and women, and Shadow Grass Blades is among the most popular and versatile waterfowl camouflage patterns on the market. In addition to its camo patterns and products, Mossy Oak expanded their brand to include several sister companies – Nativ Nurseries, BioLogic, Mossy Oak Properties and Mossy Oak Golf Courses. With more than 1,000 licensees, Mossy Oak maintains retail relations, licensing and cooperative relationships with all the major outdoor/sporting goods retailers in the United States. The five-year partnership with Ducks Unlimited was inked on August 15, 2015 and products sporting the new camo pattern are slated to hit shelves next year. As of January 2018, Mossy Oak Bottomland is the official flooded timber camo of Ducks Unlimited. For more information visit www.ducks.org. Ducks Unlimited Inc. is the world’s largest nonprofit organization dedicated to conserving North America's continually disappearing waterfowl habitats. Established in 1937, Ducks Unlimited has conserved more than 13 million acres thanks to contributions from more than a million supporters across the continent. Guided by science and dedicated to program efficiency, DU works toward the vision of wetlands sufficient to fill the skies with waterfowl today, tomorrow and forever. For more information on our work, visit www.ducks.org. Connect with us on our Facebook page at facebook.com/DucksUnlimited, follow our tweets at twitter.com/DucksUnlimited and watch DU videos at youtube.com/DucksUnlimitedInc. 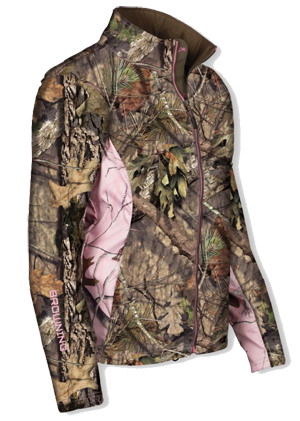 Browning Hell’s Belles Ultra-Lite Jacket and Ultra-Lite Pant is now offered in Mossy Oak Break-Up Country. For early season hunting, it’s tough to beat Hell’s Belles Ultra-Lite. The focus here is on breathability and mobility. Ultra-Lite is ideal for the active female hunter that covers mile after mile. 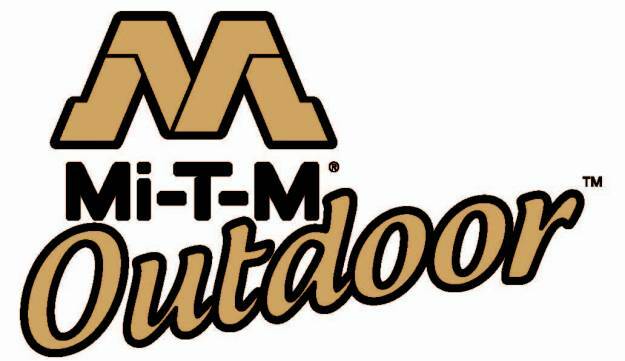 The Quality Deer Management Association (QDMA) is proud to announce Mi-T-M Corporation, a leading manufacturer and distributor of high-quality industrial equipment, as one of its newest Corporate Supporters. “We are excited to have the Mossy Oak line of stereophones hit the market,” said Michael J. Koss, President and CEO. “Both companies have very loyal customers who appreciate and expect quality products. We are thrilled to reach new customers and provide our existing customers with such an exclusive product.